Baba Phuntsok Wangal, popularly called Phunwang, was a life-long Tibetan communist, who had unfailing faith in the goodness of socialism. He was also a controversial figure, who guided the Eighteenth Army of the Chinese People's Liberation Army into Tibet, which ultimately helped complete China's occupation of Tibet and the flight of His Holiness the Dalai Lama into exile. However, at the age of thirty-eight, the Communist Party of China put him behind bars and when released, he was an old man of fifty-six. 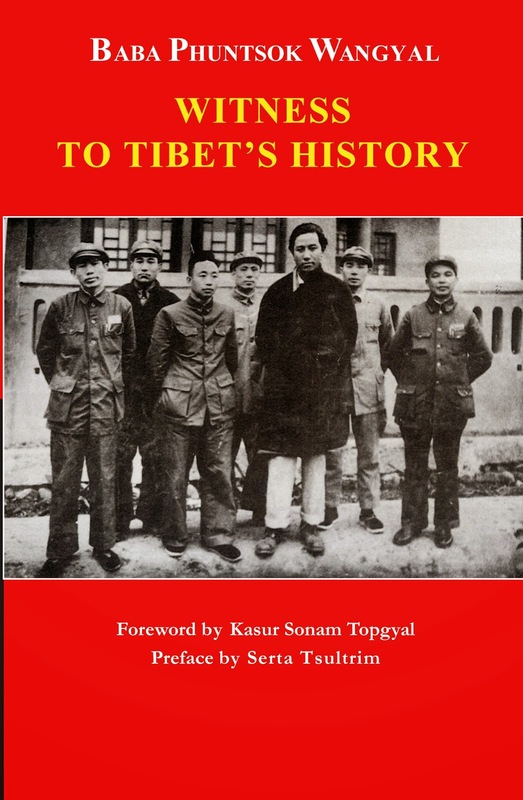 Baba's enduring legacy may be his writings, which have profound historical values and provide great insights into China's Tibet policy and its failures. Following is the second of the five letters that Baba Phuntsok Wangyal wrote to Hu Jintao, the then Chinese president. 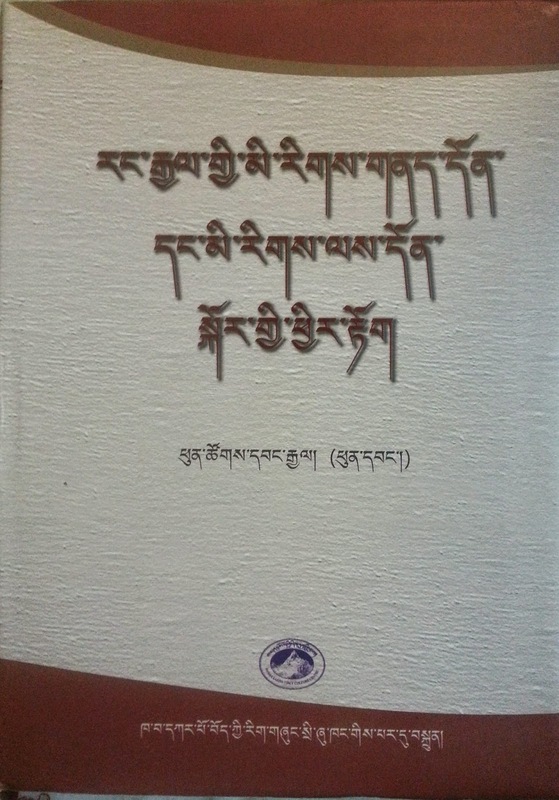 These letters were translated by Tenzin Losel, Bhuchung D. Sonam, Jane Perkins and Tenzin Tsundue, and published in a book titled Witness to Tibet's History. 1 The letter I presented to General-Secretary Hu Jintao and to the NPC Standing Committee is in line with the spirit of the Central Government’s initiatives to build a harmonious and stable socialist society, which can be proven by the entire contents of that letter, and so it is needless to restate this. 2 The key concern in the overall question is: Whether or not it is good for the religious leaders of Tibetan Buddhism __ with the Dalai Lama as the core __ and the exile Tibetan Government, including around 10,000 Tibetan compatriots, to return to the nation or remain abroad. Strategically this is a question which needs to be carefully considered and deliberately decided. It is necessary to understand that those Western anti-China elements are trying to ensure that they [the Dalai Lama and his exile Tibetan Government] remain abroad, so as to keep on playing the “Tibet card” for the sake of their own interests. Therefore, keeping them abroad is politically short-sighted and irresponsible in terms of history __ creating endless troubles in the future. On the contrary, striving for the Dalai Lama’s return to the nation will transform passivity to activity, antagonism to harmony. The continuation and furtherance of foreign and domestic policy __ namely the policy towards overseas Tibetan compatriots __ should lay stress on the Central Government’s advocacy of “harmony and stability”. For over a thousand years intangibility has exceeded tangibility in the spiritual sphere of the day-to-day life of devoted Tibetan Buddhists; whether or not the hearts of the people are peaceful and stable cannot be ignored and underestimated, especially the general wishes of the people __ the most important factor which can play a decisive role at a very critical moment. Therefore, [we] must channel our actions according to the situation and avoid being at a disadvantage. 3 Forgive my being straightforward. The comments made by the leaders of the United Front Department __ let’s not talk about other things __ merely concerning the basic spirit of the Central Government’s initiatives to build a “harmonious and stable” socialist society, they are not in conformity with this. The Central Government emphasises the importance of “friendship” as the national policy. We can take an example from the policy towards Taiwan __ under the premise of One China _ which never censures past mistakes. 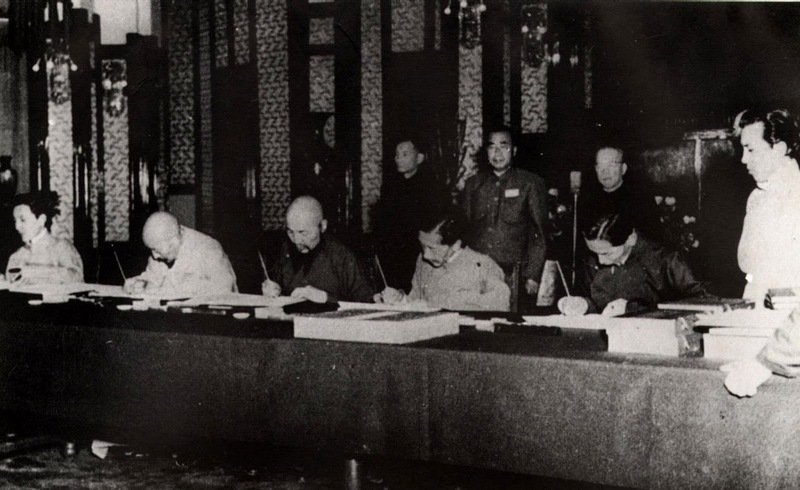 Nevertheless, the United Front Department, in line with the “leftist struggle”, has stressed too much on the “Tibet issue”, with “peace” on one side and “struggle” on the other. It even adopts “delaying tactics” to play for time with the Dalai Lama, waiting until his death. This is apparently a continuation of the wrong-thinking “leftist” line over nationality and religious work __ especially on the “Tibet issue”. Everybody is aware that this wrong line of “leftism” has brought disastrous consequences to the Party, the nation and the people. That is why it has been negated by Party decision-making. 4 Unquestionably, I myself and many others who understand the facts are extremely dissatisfied with this wrong-thinking line of “leftism” and the mistakes made by it. Let’s just forget other things, merely as far as the above-mentioned matters are concerned, people make various comments, such as: Ignoring good advice, they landed themselves in the trouble of “two Panchens” today; the two great Buddhist leaders whom the Central Government used to care about, and who attract world attention __ the Seventeenth Karmapa and Agya Rinpoche, the abbot of Kumbum Monastery __ were also forced to flee overseas; playing for time, and intending to produce “two Dalais”, will create greater trouble in the future at home and abroad. However, the question of the Dalai Lama’s health, and how long he will live, will not be decided according to the timetable of others. And regarding such questions, people have further comments, such as: The Karmapa is likely to be the successor to the Dalai Lama after his passing, in case of a period of vacuum of leadership. Although all the heads of Tibetan Buddhism, from the Gelug, Nyingma, Sakya, Kagyud and Bonpo, have fled abroad one after another, they are still the inheritors of the Buddhist doctrines and are playing an important role, directly and indirectly. Of course, those mistakes are not related to the leaders from the United Front Department. The question is related to the [Party] Line, not to the individuals. Therefore, in order to improve and intensify the friendly relations between brotherly nationalities such as the Han and Tibetans __ and for the prosperity and stability of the nation and the people __ this residual “leftist” line should not be continued; it is time to bring it to an end. signed the '17-point Agreement' under duress. Baba was the Chinese official translator. 5 The letter I presented to the Central Government is concerned with the entire Tibetan nationality and peace and stability across the Tibetan regions in the Land of Snow, which occupies a quarter of the total area of the nation, and is related to a far-sighted, longterm strategic policy that needs to be sensibly considered and carefully decided, rather than being a question of seeking advice on current policy and concrete matters. Some people who are responsible for the relevant departments, who ignore the actual situation and don’t care about the wishes of the masses, will not think deeply about their attitudes and words; they will not even undergo self-censure. Therefore, I sincerely request the NPC Party Group to report this to the Central Government __ headed by General-Secretary Hu Jintao __ to be handed over to the Central Institute of Political Research with a written instruction. And with an attitude of Seeking Truth From Facts, objectively and without prejudice, make practical suggestions. All the decisions are up the Central Government. With regard to the comments made by the United Front Department, besides the general tone that they adopted, [they] strayed from the point when mentioning my “talk” with Li Weihan in 1982, and criticised me for adhering to the so-called “consistently incorrect point of view”, my view on “the greater Tibetan regions”. But that was actually a plot attributed to Old Li by some specific leaders who had me sent to prison for 18 years and have never admitted their mistakes. Old Li, aged 86, is now in hospital; those people have not even seen his articles, so what is the value of their comments? I wrote a letter of 20,000 characters to the leaders of the Central Government, and particularly wrote a letter to comrade Deng Xiaoping and General-Secretary Hu Yaobang appealing to the Central Government to form a study team to clarify the arguments on the theoretical principles of nationality. Fortunately, after the Central Government looked into this their summing up was that “according to the regulations of the Party it is permitted to hold different points of view”, and the case was held over indefinitely, with some statements made by comrade Zhong Xun. Therefore, after 23 years, referring to the talk with Old Li is unnecessary and of no significance. 6 As early as the 1940s I was the main person responsible for all kinds of revolutionary activities of the nationality democratic movements, and in 1951 I was the only Tibetan among the members of the Party Committee for the PLA’s Lhasa advance troop and of the CCP Tibet Work Committee during the ‘50s. For the sake of the Party, the people and history, and following the principle of being a communist who must be open and above-board, and must not hide any opinions, I present this letter to the leaders of the Central Party, and send it to some Tibetan comrades for reference. [I] believe that this letter has fully reflected the expectations and wishes of ordinary Tibetans on the restoration of relations between the Central Government and the Dalai Lama. Many Tibetan comrades have directly or indirectly expressed their agreement to my views. “Bitter medicine is good for ailments, good advice is unpleasant to the ears”. My letter cannot be supposed to be good medicine, but having a clear conscience __ and from the bottom of my heart __ I sincerely stated the views that people feel uncomfortable to talk about, dare not talk about to protect themselves, and the questions that are sensitive to some people. Whether or not the views will be adopted is entirely up to the Central Government’s decision-making. As an individual I am powerless. But time will prove all and history will make a fair evaluation. Comrade Hu Jintao, I completely understand that the leaders of the CCP Standing Committee, headed by you, are deeply occupied with affairs of state. Nevertheless, the question of the Tibet issue of today is the most important of all our nation’s nationality works. Though I am in sound health, clear-minded, and able to write and give lectures, time does not spare people. I am now 83-years-old and have no ambition for fame and repute. I have spoken the truth from facts, and this is all purely in the interests of the state and nationalities. Looking forward to understanding if there is anything inappropriate herein. Printed with a drop of blood. My native land is made of a single drip of sweat. ‘I am a man!’ it is said to have declared. Its warriors and their reputation. Flying in the wind by the Potala Palace. A drop of blood untouched by happiness. Its rights are peeled off one by one. 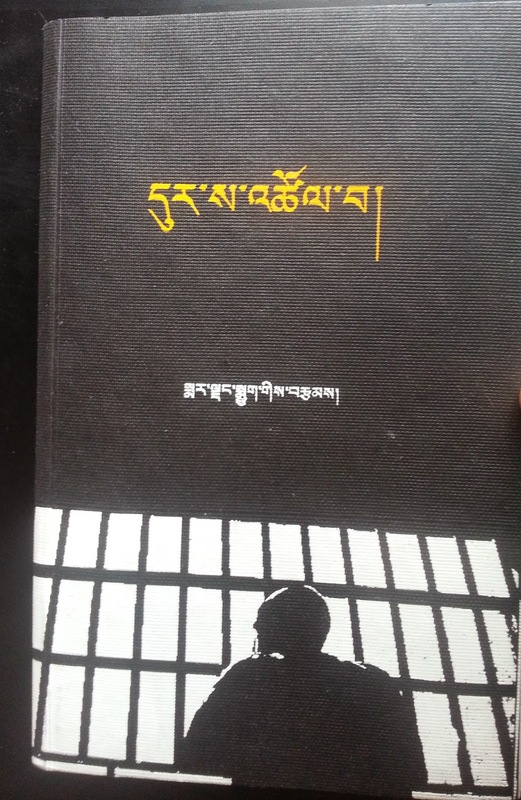 * Marjang Nyuk is a pseudonym of a young Tibetan intellectual living in the occupied Tibet. 'We must fight for our freedom. It cannot be attained by begging or through petitions,' he writes. In Search of a Grave was published by Dharamsala-based Tibetan Centre for Human Rights & Democracy and is available for free at the TCHRD.